The top three elected officials in Virginia are now mired in racial or sexual scandals: Governor Ralph Northam, Lt. Governor Justin Fairfax, and Attorney General Mark Herring. 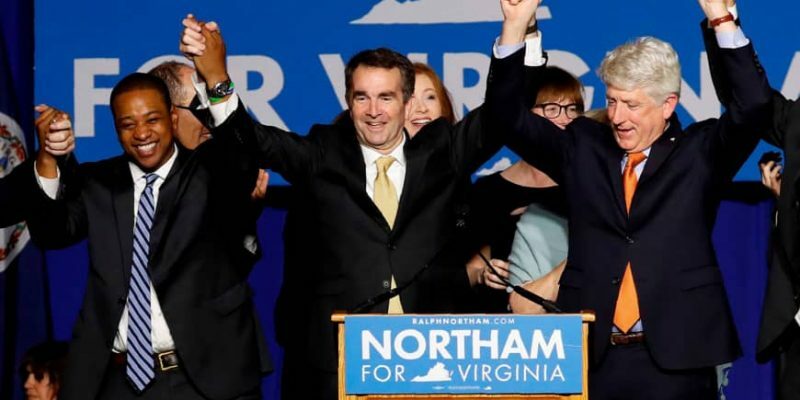 It was bad enough for Virginia Democrats when Governor Northam made national news for advocating post-birth abortion followed by the release of a yearbook photo that showed him dressed in either black face or a KKK outfit. While at first appearing to acknowledge wrongdoing, the next day Northam denied being in the photo and refused numerous calls for him to step down. However, some have come to a natural conclusion after seeing a photo of a young Northam in what appear to be the same pair of pants as the man in blackface. Just 2 hours later, rumors began to circulate that Northam’s would-be successor, Lt. Gov. Justin Fairfax is being accused of sexual misconduct in 2004. Making matters worse for himself, Fairfax allegedly used profane language in a Monday meeting when referring to the accuser, saying “f*** that b****”. And just like that, the top three elected officials in Virginia are plummeting in the polls along with any hope of a “blue” future for the state and the country. Republicans, on the other hand, are thoroughly enjoying the spectacle, not because they relish in the opponents’ demise, but because the same party that routinely resorts to baseless racial accusations against them is now being administered a lethal dose of their own medicine. Democrats, desperate to shift the narrative, have begun pushing a story about a Virginia State Senator who was the “editor” of a yearbook “filled with racist material”.